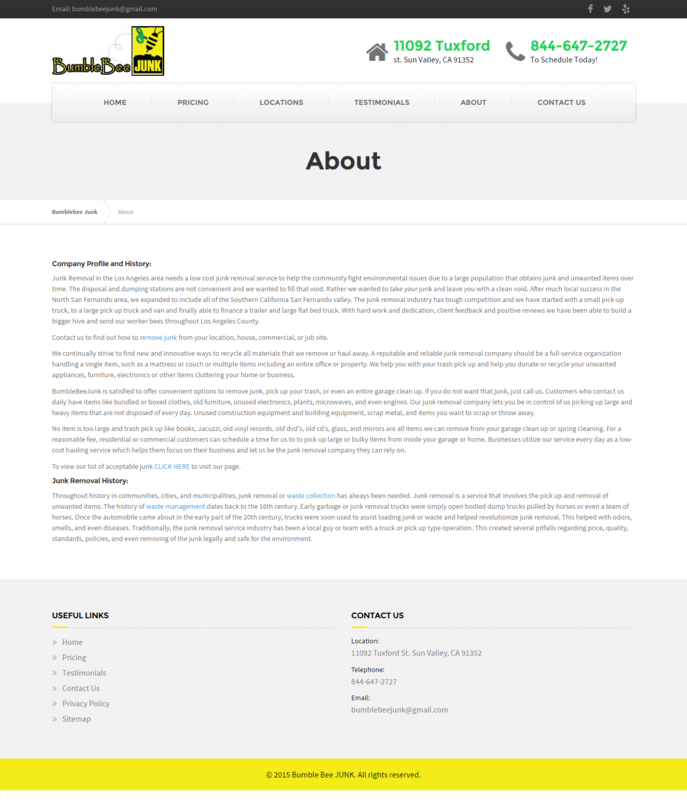 Bumblebeejunk.com, No sting junk removal in 3 easy steps! 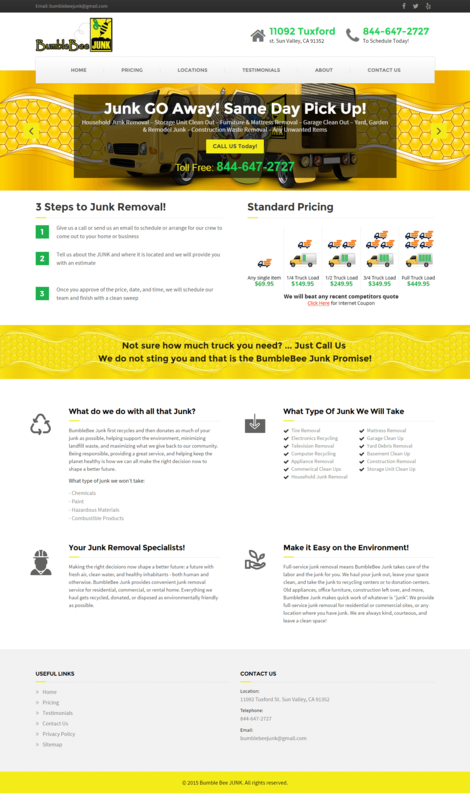 Bumble Bee Junk is a Los Angeles a junk removal service to help the community fight environmental issues due to a large population that obtains junk and unwanted items over time. The disposal and dumping stations are not convenient and we wanted to fill that void. Rather we wanted to take your junk and leave you with a clean void. 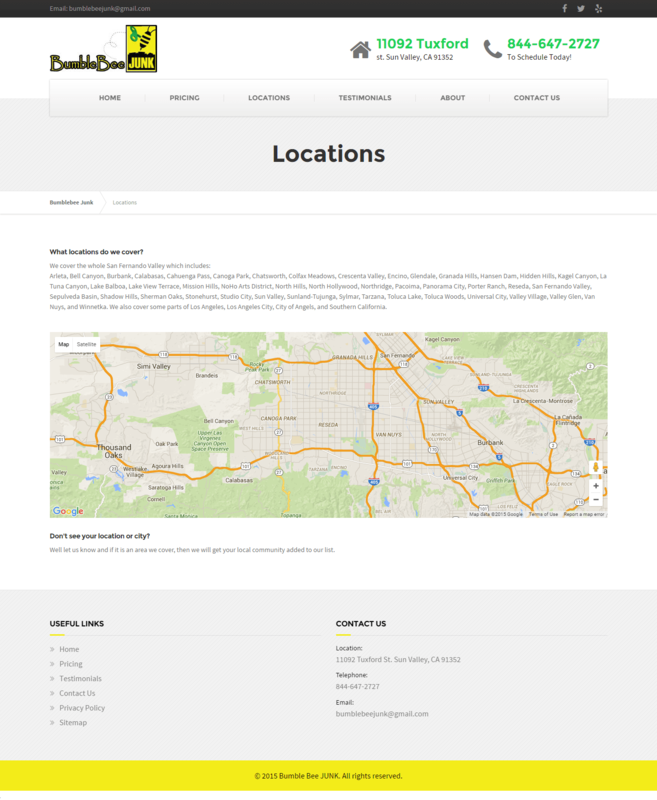 After much local success in the North San Fernando area, we expanded to include all of the Southern California San Fernando valley. 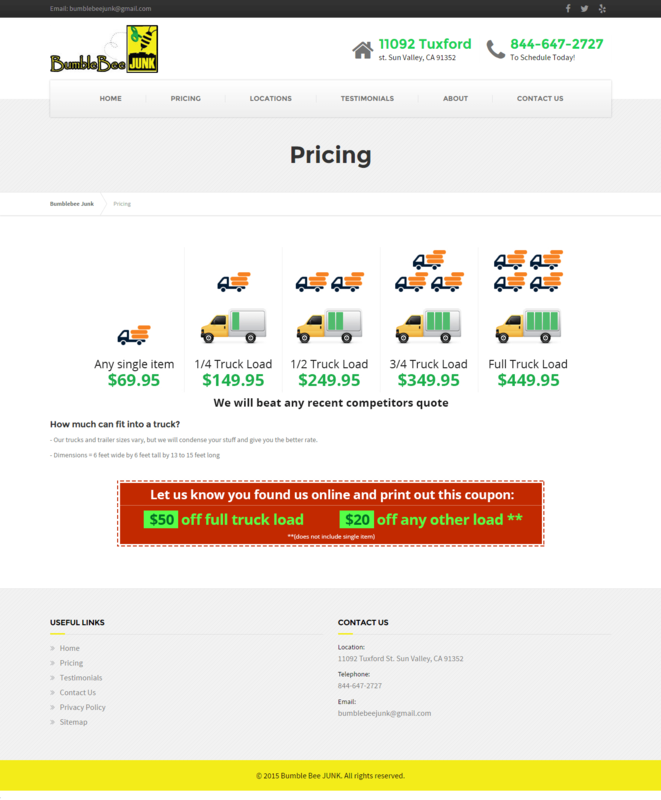 The junk removal industry has tough competition and we have started with a small pick-up truck, to a large pick up truck and van and finally able to finance a trailer and large flat bed truck. With hard work and dedication, client feedback and positive reviews we have been able to build a bigger hive and send our worker bees throughout Los Angeles County. Pulse UI team was hired to find a perfect match being aesthetics and function, this led to the creation of an attractive wordpress based site that can be easily managed and looks great on all smart devices. The website only only makes it quick to request junk removal but also integrates with a CRM to track requests effectively. Traffic has improved overall due to search engine optimization.